CHARLOTTE AMALIE — Thirty-five people have been reported missing in the territory and are still missing according to Virgin Islands Police Department (VIPD) records — nine on St. Thomas and 26 on St. Croix. According to an article in today’s V.I. Daily News by Suzanne Carlson, at least three of the people have been missing for six months — roughly corresponding to the time two Category 5 hurricanes hit the Virgin Islands — but the VIPD failed to release their names to the public — until now. One person, Hannah Upp, 33, of St. Thomas has been missing since Sept. 14, but police did not release her name despite notable publicity on Facebook from Upp’s friends. 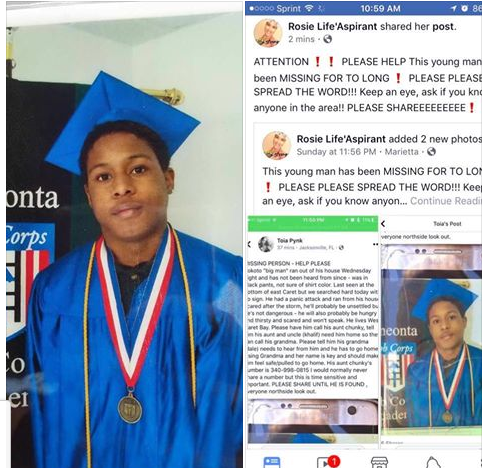 Another person, Sokoto Clendinen, 19, also on St. Thomas, apparently went missing before Upp but police did not release his name or image despite notoriety of the disappearance on Facebook by Clendinen’s friends. The person who has been listed the longest on the missing list by police is Thomas Kostka, a German sailor who was last seen on shore leave near Cane Bay, St. Croix circa April 17, 1999.